It’s in the news. 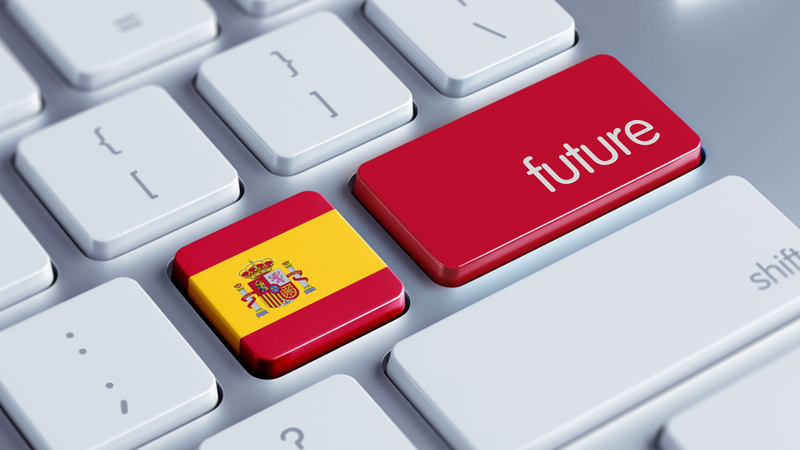 The Spanish Venture Capital scene is picking up steam and in recent months we’ve witnessed the launch of several VC firms that aim to provide the capital necessary to fulfill the promises of Spain as a hub of innovation and entrepreneurship. To help those inside and outside the country better understand the Spanish ecosystem, we’ve put together a list of the top ten venture capital firms in the country. But first, let’s provide some context. Although we won’t go as far as claiming there’s no Venture Capital industry in Spain, it’s true that things have been a bit rough in the past few years and that the gap with the rest of Europe in terms of VC investment per capita is still wide. If we were to go back in time a handful of years we would find a country with very few relevant VCs, but as the level of startups has increased in the country, so has the number and quality of the VCs. However, this increase in the number of players in the market hasn’t been able -yet- to stop the downward trend of the VC industry as a whole. The number of VC investment has decreased since 2011, reached €300.9 million euros. According to Web Capital Riesgo, in 2013 venture capital firms from inside and outside Spain invested 208.5 million in Spanish companies: a 30% decline in just two years despite the fact that the total number of investments remained stable, at 377. The industry is consolidating around a limited number of investment firms. Some that have been operating in the country for more than 10 years and others that have recently joined the party (Seaya Ventures or Lanta Digital Ventures). The following list includes what could be considered the 10 best firms in the country for early stage technology companies and the ones that, with the help of others, will improve and push the ecosystem forward. For every VC we will provide the following data: number of investments made since 2013, the total amount raised by startups in such rounds (the capital invested by each VC in each round is not public) and co-investment mades between these 10 Spanish firms. The 10 most active funding VC firms in Spain. Based in Barcelona and founded in 2004 by Philipp Schroedere, Christopher Pommerening and Ricard Söderberg, the firm raised its second fund of $54 million in late 2012. At the time of the announcement Active Venture Partners claimed that 80% of the amount raised would be invested in Spanish startups, allocating the rest to European and Latam companies. The firm was one of the main backers of BuyVIP, the online shopping club that was acquired by Amazon for $110 million in 2010. Since then it has invested in 10 more startups, mostly in the eCommerce sector, backing companies such as Whisbi, ReviewPro, Restalo or PackLink. Axon is different from most other Spanish VC firms: it has an international focus, with offices in Spain, India, Colombia and Miami, and besides investing in startups it also works as a consulting firm for companies it doesn’t have a stake in. Axon’s managing partner is Manfred Bodner, founder of bwin Interactive Entertainment in 1999. Bodner served as co-CEO of the company for 10 years, until it merged with Party Gaming in 2010. The firm was one of the early investors in Wuaki.tv (acquired by Rakuten) and Zinkia. In recent months it has also invested in Spanish startups ByHours.com, Akamon Enterntainment or Hot Hotels. Colombia-based Click Delivery and Israel’s iYogi are also part of its portfolio, demonstrating its international focus. Bonsai is one of the oldest VC firms in Spain. Founded in 1999, it invests in early stage companies and its current portfolio includes promising startups such as Wallapop, From The Bench or Akamon. It was also one of the first backers of idealista, who has become the main real state directory in Spain, and Softonic, who received a growth equity investment from Partners Group in 2012, valuing the company at €275 million. Rafael Gutiérrez de Calderón and Javier Cebrián are the managing director and COO of the firm, respectively. Also founded in the late 90s, Cabiedes is probably the most well-known investment firm in Spain, having backed almost 40 companies in the country. Led by the Cabiedes brothers (Luis and José), the firm raised its second fund in 2014, of €30 million. Known for its focus on metrics and performance, Cabiedes has recently invested in ByHours.com, Reclamador, Blablacar or Kantox, one of the best startups to come out of Spain in the past few years. The investment arm of the La Caixa bank, CCR has become in recent years one of the most active angel investment vehicles in the country. The firm introduced two new funds in 2014: Caixa Capital Micro II (€9 million) and Caixa Invierte BioMed II (€48.3 million), aimed at Internet and biotech startups, respectively. CCR started investing in technology companies in 2011 and since then it has over one hundred companies, positioning La Caixa as one of the most startup-friendly banks in Spain, along with BBVA. Kibo, as well as Active Venture Partners, was one of the firms chosen by Telefónica to manage part of its Amerigo fund aimed at Spanish and Latam startups. Founded in 2011 and headquartered in Madrid, it’s led by Aquilino Peña, Javier Torremocha and José María Amusategui. The firm manages €45 million euros and since 2013 it has invested in 16 startups, including the likes of Minube, jobandtalent, peerTransfer or Ducksboard. Its exits include idealista, Netjuice, Blink Booking (sold to Groupon) and SinDelantal (acquired by Just Eat for €3 million). Lanta was founded in 2013 by Ángel García, an experienced entrepreneur who was the CFO of Fractus, a technology company that was key in developing mobile phone antennas. 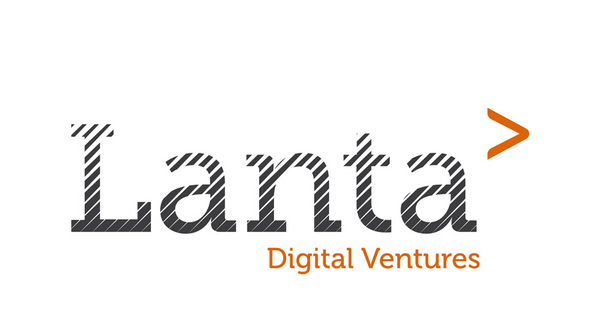 Lanta differentiates itself from other Spanish VC firms as it hasn’t raised any outside funding, opting instead to invest its partners’ own money (Tomás Diago, Softonic; Mauricio Prieto, eDreams Odigeo or Didac Lee, Inspirit). So far it has only invested in two companies: traity and Audiosnaps. As Axon, Nauta Capital has an international presence, with offices in London, Boston and Barcelona. The firm, led by Jordi Viñas, Dominic Endicott, Daniel Sánchez and Carles Ferrer, tends to back growth-stage companies; one of the few in Spain to do so. Its portfolio includes Scytl, which recently raised $40 million from Paul Allen’s Vulcan Capital, Brandwatch, Socialpoint or Yuilop (now Upptalk). The firm raised a new fund of 100 to 150 million euros in early 2014 to invest in up to 30 startups from Spain, UK and US. As aforementioned, Spain has seen the launch of various VC firms in the past few months, and Seaya is one of them. Founded by the daughter of BBVA’s president, Beatriz González, and Michael Kleindl, the firm backs growth-stage companies with investments of 5 to 10 million euros. As part of its first €40 million fund, the firm has invested in Cabify, Plenum Media, Restalo, Ticketea and SinDelantal Mexico. Based in Madrid, Vitamina K invests in early stage technology and Internet companies. The firm is led by Rafael Garrido and Iñaki Arrola and since its founding it has invested in almost 10 companies, including SinDelantal (sold to Just Eat) and Saluspot (acquired by Telefónica). These are some of the most important VC firms in Spain, but there are many more that should also be taken into account. Faraday Ventures, Fundación Entrecanales, Startcaps Ventures or Swanlab Venture Factory are also examples of a growing industry that’s looking to help build great companies in Spain. Editor of Startupxplore. Experienced content curator.